Don’t wait till next weekend to have more fun. 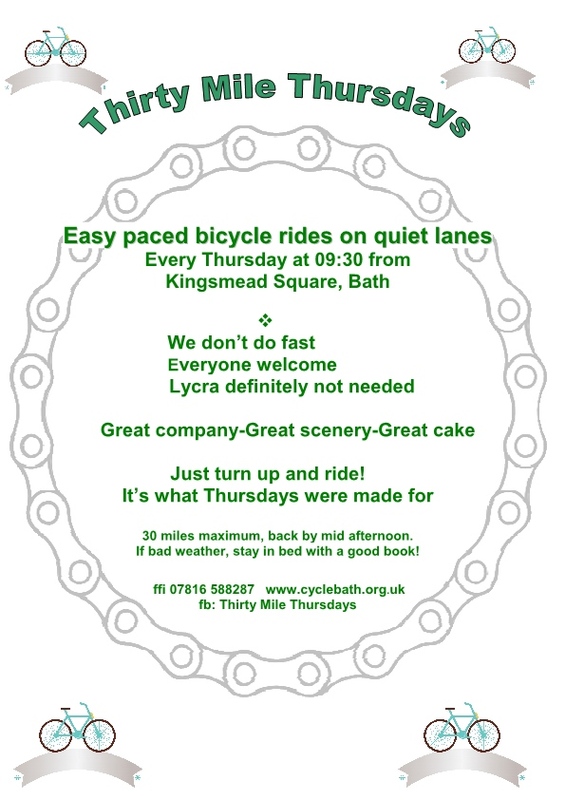 Join 30 Mile Thursdays for a lovely easygoing ride to Tormarton on 29th October. You should by now know the score. Just in case you don’t, you need to know that we are very sociable, we enjoy cycling at an easy pace and we have no interest in lycra. Or speed. And some of us enjoy walking up hills too. We usually do 30 miles and are back by mid afternoon after a tea or lunch stop. Even if you have never been before, we would love to see you. Previous PostIt’s what Thursdays are forNext PostWhere your money goes.